Published in An Cosantóir on October 1, 2012. 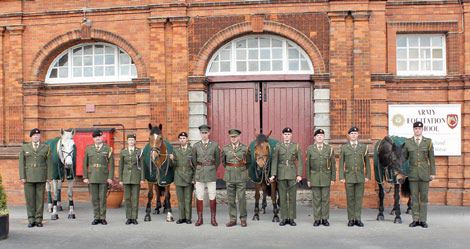 Riders from the Army Equitation School, founded in 1926, have represented Ireland and the Defence Forces at European-, World- and Olympic-level. 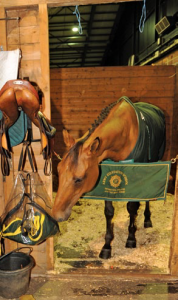 They have also assisted in Irish team wins in many Aga Khan Trophy successes in the RDS in Dublin. 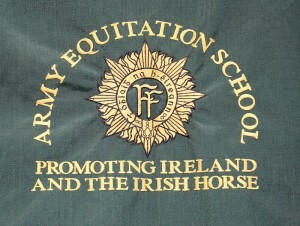 The School’s mission is to advertise the Irish competition horse through participation in international events at the highest level. This they have done remarkably well for nearly 90 years. But what of the backroom staff of any award winning team? In the equestrian sport/discipline a horse and jockey both rely on the ‘Groom’ to that end. 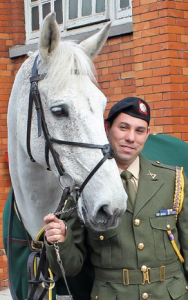 Grooms have come to the equitation school from all corners of Ireland, and from many different walks of life. 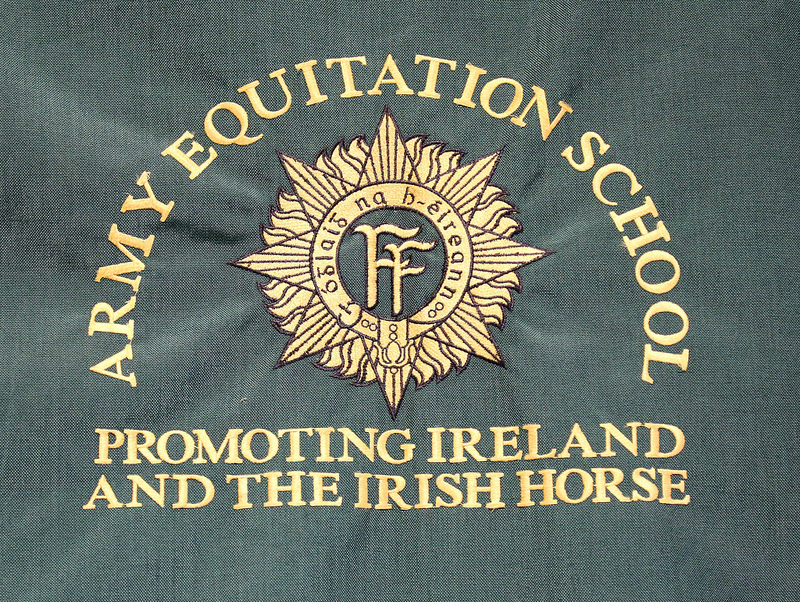 The Equitation School have run two grooms courses of six weeks duration this year so far. The course climaxed with the students completing a general test (GT), a riding test and a lunging test – lunging is walking the horse around in a circle which exercises a particular side of the animal. Students are assigned two horses, one to ride and one for lunging; everything is taken into consideration when being assigned a horse, like injuries and size. Then the Grooms had to present themselves and their respective horse for a Commanding Officers (COs) Inspection – which includes getting the horses hair plaited and making sure the Tack i.e. Saddle and Bridle are in pristine condition and that’s before they get their own No1 Uniforms ready. 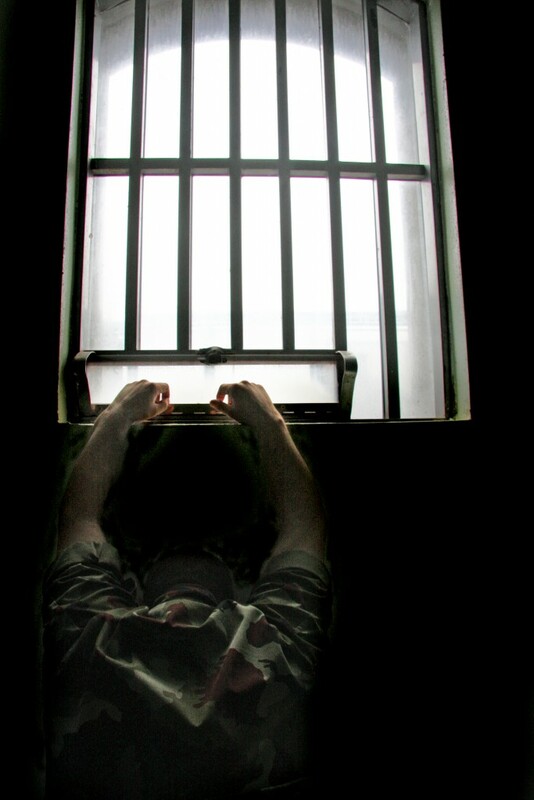 This year’s courses have attracted a small group of infantry soldiers from Cavan and Cathal Brugha Barracks. These are their stories on how they made the transition from infantry soldier to groom in six weeks. Cpl Ritchie Costello from Cavan Town has 25yrs service and four trips overseas to Lebanon (x3) and Liberia. “I joined up in 1987,” he says, “and was posted to 29 Inf Bn in the old Cavan Bks before we moved to the new barracks on the Dublin Road. 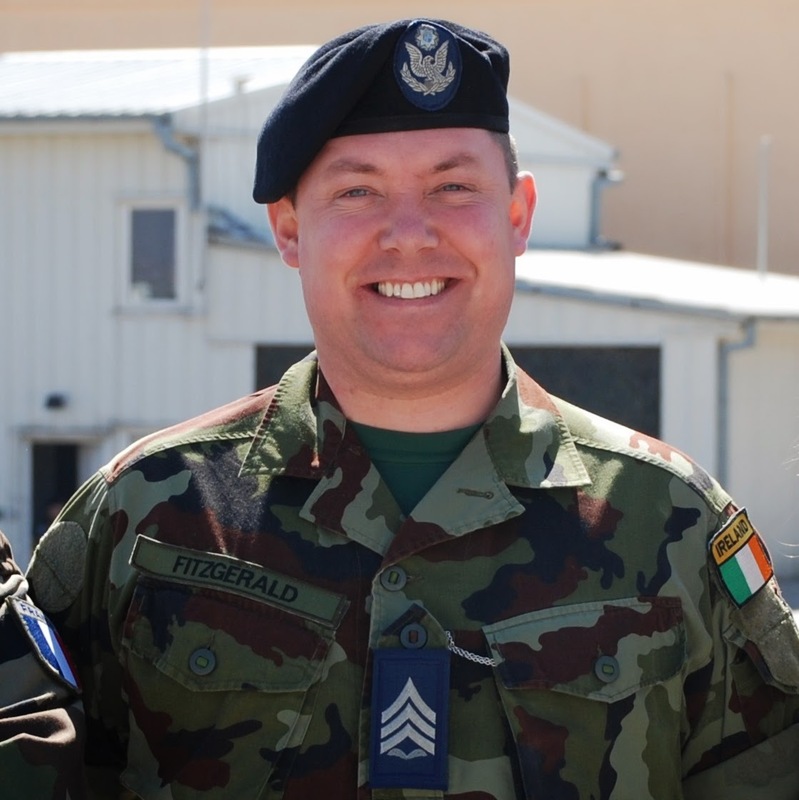 Cpl Thomas Craig from Ballyhaise has 9yrs service and two trips overseas to Liberia and Lebanon. “I trained in Gormonstown and was posted to 2 Fd Arty Regt in McKee Bks for four years before I transferred to 27 Inf Bn in Monaghan. When that barracks closed I went to Cavan Bks, but that’s closed now and here I am back in McKee: I’ve come full circle. I have no prior experience with horses but I like animals. 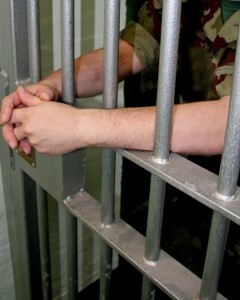 The course commander was Lt David Power and the chief instructor was Sgt Elaine Price. There are no plans to recruit any more grooms this year, but they do intend to run an advanced grooms course later in the year.